A/C Living Area: 1,337 sq. ft. Covered Lanai: 120 sq. 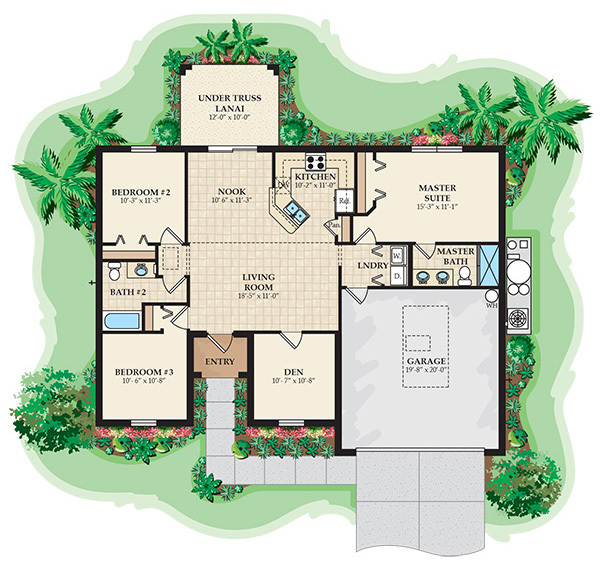 ft.
Total Area: 1,913 sq. ft. The larger of the Jade models features a brilliantly designed den for the avid business person or an extra room for the little ones to play. Therefore, this once standard 3 bedroom, 2 bathroom, 2 car garage floor-plan, has transformed into a home with an office or play room, making it a 3 bedroom plus a den, 2 full bathroom, 2 car garage home. 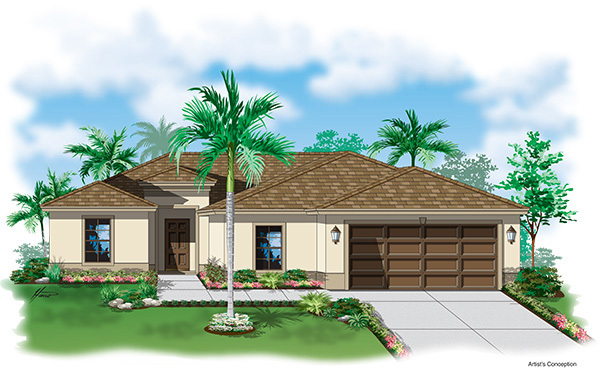 Standard features in this model include tile throughout all living areas, plant shelving, vaulted ceilings, an oversized breakfast bar, walk-in closets, a double vanity in the master bathroom, and a large pantry in the kitchen. 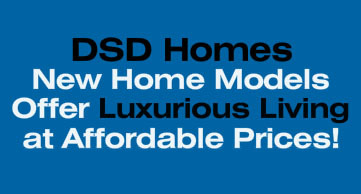 As one of Southwest Florida's leading home builders, DSD Homes is committed to providing you with excellence. DSD Homes prides themselves on their high levels of quality construction and their unwavering pursuit of customer satisfaction.